Winners of the 2016 Soft Robotics Competition have been announced, showing great diversity in this growing field. The competition, now its third year, was originally developed by professors at Harvard’s John A. Paulson School of Engineering and Applied Sciences (SEAS). Divided into three categories, the competition is intended to encourage engineering students to take advantage of the resources provided in an open-source Soft Robotics Toolkit. The submissions were judged on the idea itself, the implementation and documentation, and how well the submission fits with the overall mission to advance the field of soft robotics technology. The Soft Robotics Toolkit is a collection of shared resources in support of new designs of soft robotic devices. The toolkit includes files that can be downloaded and utilized for the designing and manufacturing of soft robots. 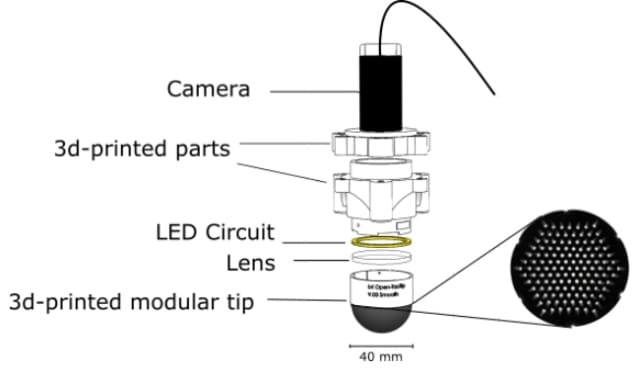 The first prize in the Contributions in Soft Robotics category was given to the United Kingdom’s Bristol Robotics Laboratory, for the submission of a 3D-printed optical tactile sensor called TacTip. Developed over seven years, this artificial fingertip can be easily built and customized with a 3D printer. The innovation gives the possibility of robots having a human-like dexterity in future projects, as the sensors can be placed on robotic hands and arms. The team’s hope is that this technology will lead other groups to explore the applications of tactile sensing in the soft robotics field. The College-level category winner was a team from Worcester Polytechnic Institute (WPI), chosen for their Bio-Inspired Manta Ray Robot. This creation is comprised of a molded silicone fin that flaps back and forth due to inside channels becoming pressurized and depressurized. The design of the fin is a relevant innovation, as its intent is to be used to support an autonomous underwater vehicle. 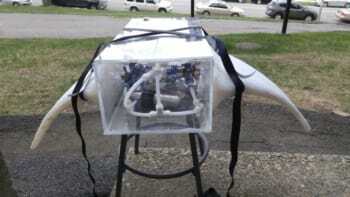 This could assist robotic explorers in travelling smoothly to ocean depths that have yet been unchartered. A new category added in 2016, the High School Design Competition aims to bring young future engineers into the field while they are still in high school, to encourage the pursuit of engineering in post-secondary education. This category saw two winners receive prizes. The first was student Aidan Leitch, a freshman at Horace Greeley High School in Chappaqua, N.Y., who created a Pneumatic Deformation Sensor. 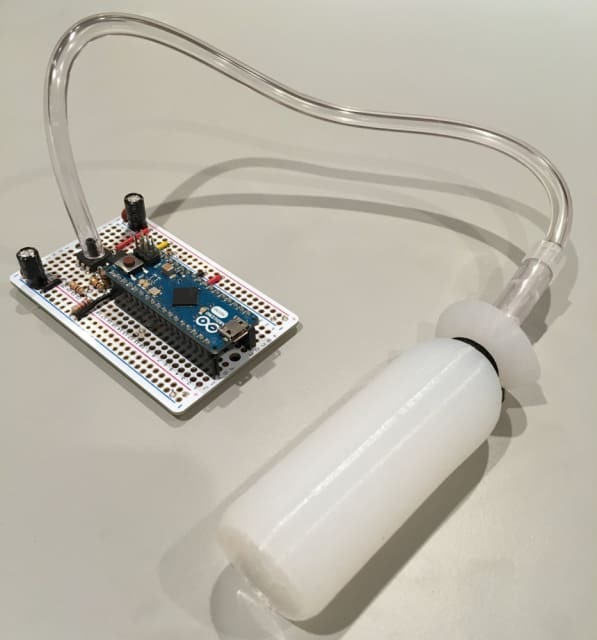 This is a soft air bladder which is connected to an electrical pressure sensor and microcontroller, providing real-time feedback on how it deforms. Pneumatic Deformation Sensors (PDS) are soft sensors that are designed to be used with soft robots. While soft actuators can be inaccurate in giving feedback, PDS can still be made from soft materials, and are able to provide precise feedback. The second winner at the high school level was Harrison Young, a recent graduate of Robbinsville High School in Robbinsville, N.J., who developed a Fabric-Reinforced Controlled Motion Robot. This invention uses silicone bladders in a fabric sleeve to mimic the basic locomotive patterns of both an earthworm and an inchworm. The goal of Young’s project was to create a soft robot which could be used in real world situations. His robot was designed with the ability to navigate over and around environmental blocks and hazards with minimal impact. The future of this type of design could involve rescue operations or the investigation of delicate ecosystems. More than 80 designs were submitted to the competition by individuals and teams of students worldwide. All entries required the submission of entensive documentation to share with the competition, and to be included into the Soft Robotics Toolkit. 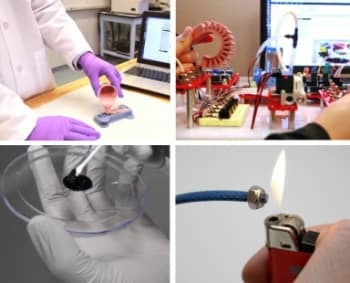 This is meant to encourage researchers to share very detailed information on the soft robotics projects they are working on, so others may replicate that work and incorporate these innovations into new designs. “We also want to entourage students in college or high school to make use of the technology and information that is being shared by these research groups. They are coming up with novel designs that researchers oftentimes wouldn’t even consider, so we really value their contributions,” said Dónal Holland, an assistant professor at University College Dublin and associate at SEAS, and one of the founders of the competition along with Conor Walsh, a Harvard SEAS professor of mechanical and biomedical engineering. For engineering students interested in this year’s competition, is now open for the 2017 Soft Robotics Competition.